Despite their uncharitable 'Plastic Pig' nickname, I always thought the Class 442 units were the most stylish of the EMU designs of the last few years, and it seems a little premature to withdraw these high quality units after less than twenty years service, even allowing for the fact that the traction motors were salvaged from the 1960s built 4REP units! However on 3 February 2007 the final units were placed into store, and so the opportunity was taken to take a few last pictures. 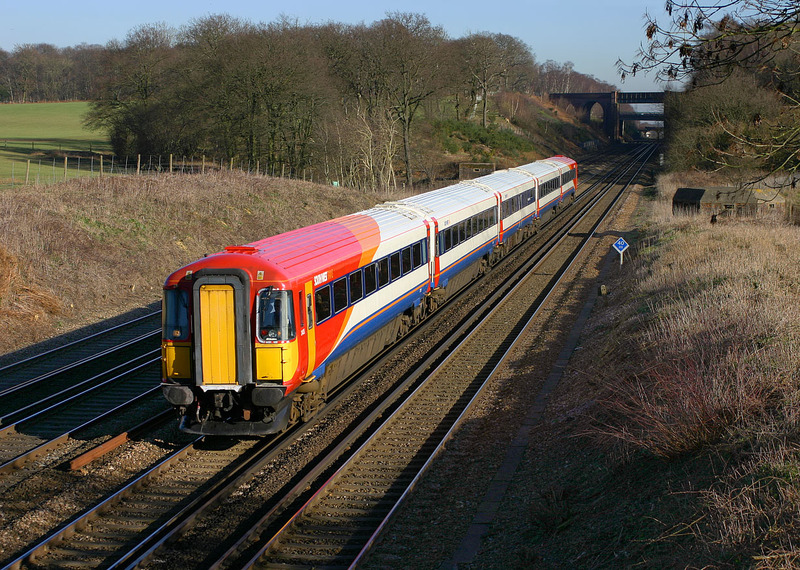 Here, 2405 passes Potbridge at high speed with the 13:05 Waterloo to Poole South West Trains service.